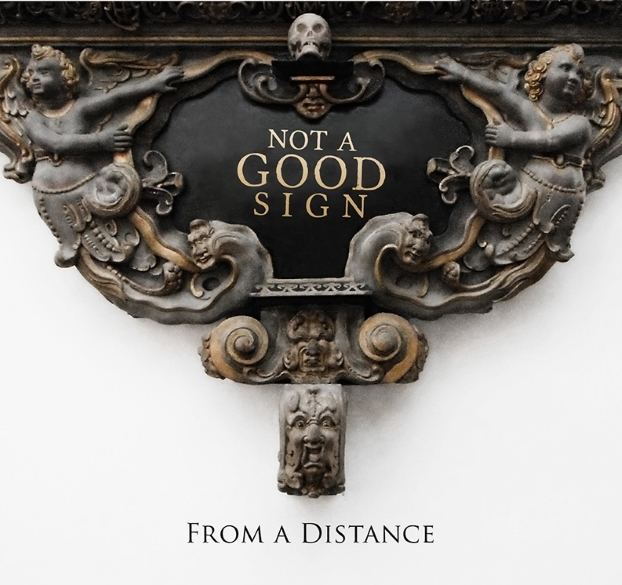 Milan, Italy – Italy’s Fading Records/AltrOck will be releasing the highly anticipated second album by the Milan-based band Not a Good Sign, who acquired a worldwide following thanks to their catchy, dynamic, dystopian versions of prog-rock merged with pure rock. The new album is titled “From a Distance,” and in these tracks many will recognize the ‘old school’ Prog from the ’70s, but in a modern key, with a pinch of hard-rock and psych. Resonant vocal melodies and lyrics complete the gloomy but colorful imagery of the band. Not a Good Sign began as a project by AltrOck and some members of bands signed to the label. Marcello Marinone, Paolo “Ske” Botta and Francesco Zago, after a successful collaboration in Yugen and Ske, propose a new blend of their musical attitudes. The result is an ominous, fascinating sound melting vintage keyboards, powerful guitars and voice, besides ethereal and autumn nuances, supported by a compelling rhythmic drive. In 2011 Botta and Zago began to write the music, and Zago provided the lyrics too. Soon G. Guidi Colombi and Alessio Calandriello, from La Coscienza di Zeno, joined the band.The drummer Martino Malacrida completed the line-up in 2012. Alessandro Cassani joined the band in 2013 after the release of the first album. The five-piece is supported by Maestro Maurizio Fasoli (Yugen) on the piano, Eleonora Grampa on oboe and English horn, Jacopo Costa on glockenspiel and vibraphone, and Gian Marco Trevisan on guitar. “The band, on ‘From a Distance’, is more mature, more aware, and its vision is clearer and easier to understand. There is a deeper melodic research that highlights the shadow play. The guest musicians and their instruments enrich the band’s sound and occasionally take center stage.” Not a Good Sign also filmed a clip for “Flying Over Cities”, a video highlighting and strengthening the contrast between the dystopian lyrics and the musical dynamism. March 1st – Arlecchino Club (Vedano Olona – Varese); March 2nd – Live Unplugged Radio Lombardia; March 13th – Floyd (Legnano – Milan); March 27th – Musicolepsia (Melegnano – Milan); May 29th – live unplugged Radio Cernusco Stereo; August 20th – Crescendo Festival (St. Palais sur Mer, France).